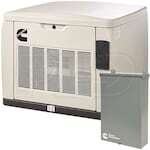 For the ultimate in home standby generator backup protection, go with a 20kW-22kW model. For such a large purchase, you want to make sure you're getting the right one, so we've compiled lists of the best-selling, top-rated and expert-recommended 20kW-22kW home standby generators for you this year. 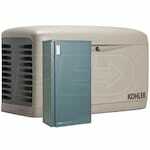 Click through our customer picks below, or read up on our Home Standby Generator Buyer's Guide first. 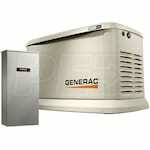 Electric Generators Direct answers the question: What is the best 20kW-22kW backup generator for you in 2019? Our experts reveal a curated list of customer top-rated, best-selling, and expert-recommended extra-large home standby generators to help you find the perfect backup power solution this year.